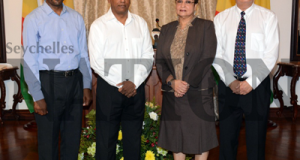 Home - History of Seychelles - Through the mists of History…. Through the mists of History…. 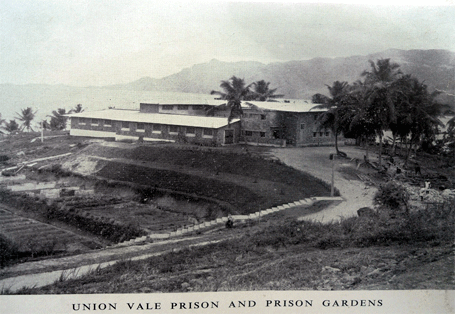 In 1951, the prison of Union Vale was established. It comprised of two blocks, one for first offenders and one for recidivists. Prisoners were forwarded daily to the Public Works Department (PWD) where they engaged in road repairs or to the Botanical Gardens. At the prison, the main tasks of the prisoners were breaking stones, beating coconut fibre, and matresses making, and vegetables farming. In 1960, the superintendent of prison, Mr Felix Hoareau (1921-1971) started the construction of a dam to supply the prison farm with water. 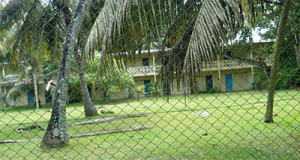 In the 1970’s, the dam was occasionally used by students of the Seychelles College for their annual inter-house swimming competition. In 1985, after the prisoners had been moved to Long Island, homeless families and squatters occupied the prison building which was called Chateau Vallon. In 1996, the 27 families moved to a new housing estate and the prison building was pulled down and was replaced by the condominiums apartments. In the 1930’s, the First Floor of the Carnegie Library which opened in 1910, was used for evening concerts, recitals and drama presentations. It was also the venue for movie projections which many inhabitants especially those who resided in Victoria enjoyed. 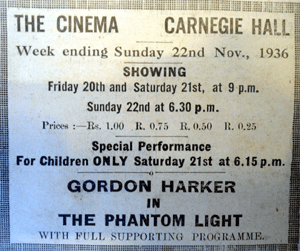 At that time a movie was a privileged entertainment, a luxury! Yes, our parents and great grand parents had a passion for football! In the 1930’s, there were five football teams: Ascot XI, Seychelles XI, Royal Mission XI, Police Team and the ST Louis College Team. The teams competed for the annual Bradley Cup on the Gordon Square (Freedom Square). 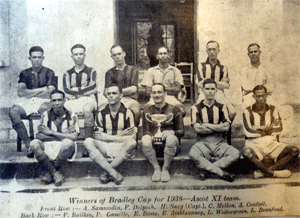 The Cup was sponsored by Dr. John Thomas Bradley (1872-1942). 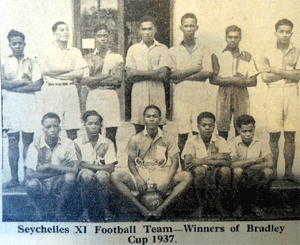 The Seychelles Football Association was formed in 1941. The construction of the Rochon Dam was first announced in the Seychelles Bulletin on Monday 28th of March 1966. 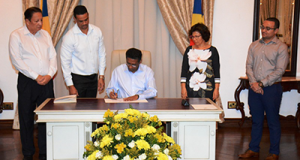 It was a decision taken to minimize the impact of the seasonal shortages of water. Consulting Engineers, messrs Humphreys and Sons planned and designed the dam. 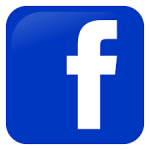 Construction was undertaken by W&C French Limited, the contractors. Work started in early 1967 and it took 2 ½ years to complete. An average of 400 workers was employed on the project. No less than 7,000 pounds of gelignite had to be used in the blasting work and 15,000 tons of concrete went in the project which is 60 feet above the level of the original stream. The Dam which is 70 feet at its deepest has the capacity to hold 11 ½ million gallons of water. The cost of the entire scheme including the treatment works and installation of town mains amounted to 8 ½ million. At that time, it was the biggest construction project ever to be carried out in Seychelles. The Rochon Dam was inaugurated on Saturday 26th April 1969 by Governor Bruce Greatbatch (1917–1989). 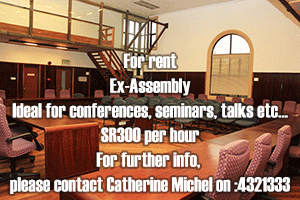 The population of Seychelles was then almost 50,000 inhabitants. In 1979, when the La Gogue embankment dam was completed, an 8km run of pipe was connected to receive overflow from Rochon Dam. The dam is named after L’Abbé Alexis Rochon (1741-1817) a French astronomer and scientist who came to Mahé in 1769. During his stay in Seychelles he camped by the Rochon River which is named after him.